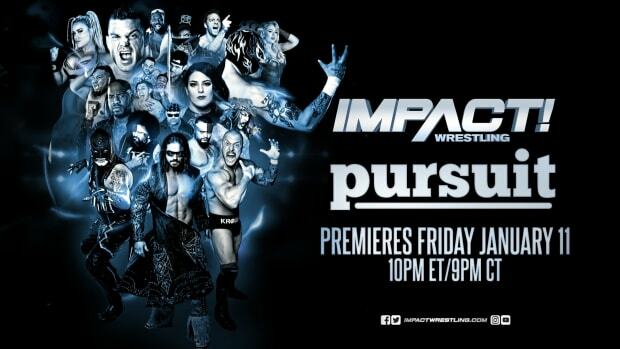 @TNADixie What made you decide to change the name to IMPACT WRESTLING? The show has always been called Impact. But as we grew the TNA corporate brand beyond Impact, we felt it was important (and the time) to let Impact stand on it&apos;s own. It&apos;s still under the TNA banner, it&apos;s still the TNA World Heavyweight Title, but the show name is Impact Wrestling. @TNADixie Where in the world would you like to broadcast a TNA Impact Wrestling / PPV from and why? London or Manchester, England. There are many great places I would love to take an Impact taping, but those two cities have supported TNA in such an amazing way and one of those cities would have to host our first international broadcast. The crowds and their response when we bring the TNA shows there are truly electric. I would love Impact to be live each week, but it&apos;s a matter of economics. As far as wrestling news sites are concerned, if you want to be surprised then people should not read them. If people choose to, they certainly shouldn&apos;t judge anything based upon one persons opinion, good or bad. The few times I have seen a spoiler, they always tell a limited, one-dimensional side of a story, and usually a very biased one at that. @TNADixie What is Bruce Prichard&apos;s role in regards to the creative direction of the product? Bruce is Sr VP of Programming and Talent Relations. He oversees the creative of Impact and reports directly to me. @TNADixie Hello, are the younger talent allowed to do media work such as appearing on chat shows, movies etc so they become household names? We work very hard to get as many of the younger talent doing media as possible. If I had to guess, Hulk Hogan has done thousands of interviews and of course, everyone in the media always wants to talk to him. It is a top priority to expose the younger talent in mainstream media and in outside film/tv projects. The more they do, the bigger their profile. @TNADixie How soon can we expect Impact to go on the road permanently and/or go live? Is it even being discussed as an option? It is our top priority to take the show on the road on a permanent basis. Hopefully we will announce more live event Impact taping dates soon. @TNADixie think you can keep Sting around another year ? I sure hope so. In the past, I have had to convince him to not hang up his boots for one more year. But this year, I think he is more motivated and excited than ever. He truly is an icon and has had a remarkable year. I am so proud of him. @TNADixie are you going to bring back the 6 sided ring to IMPACT WRESTLING? I liked us using the 6-sided ring for our X Division Pay-Per-View, "Destination X", this year. We should do that every year, but at this time, there are no plans to bring it back as our permanent ring. @TNADixie How do you deal with all the heat Dixie!? P.S.- You are my business role model. I think you meant haters. If so, you grow tough skin and know you will never please everyone all the time. You work to please the most people as much of the time as you can. @TNADixie What are your thoughts on the rebranding and pushing of the X Division? I am a huge X Division fan. In the beginning, we had great talent representing that division, but those top guys have moved on to other opportunities on the roster. Today, we have the best crop of new and upcoming X Division stars and we are going to give them time on the show each week. Very rarely does Impact have that little wrestling, but on occasion, there is a need for that. It was necessary for the 10/20 show to have the focus it did and to bring forward our wrestling stories, and I&apos;m happy to say it was our most viewed Impact Wrestling episode to-date. Michael Earl (via Facebook): How do you feel about the direction of the company? I&apos;ve never felt better about every aspect of the company. I think Impact Wrestling is better than it has ever been. So many of the younger talent have stepped up and are earning the spotlight. We are having tremendous international success, and are growing the corporation in many new areas, which are critical to our overall growth. I&apos;m very excited about the upcoming year.